Does your Demo tell a story? Slick production and silly voices aren't enough for your VO demo. You have to tell a story. Every clip, every sound element, every acting turn demonstrates your skill as a professional storyteller. If your demo doesn't showcase this, it is wasteful. The right demo can get you through the door of an agency or casting house. As a VO talent, your demo is your calling card and tells a story about you, your skill and your sound. Mick is a skilled demo producer who can tell your story in the areas of commercial, promo or animation. The key is to build a brand and flaunt your strengths. Mick Wingert tailors your demo from slate to tag with copy that is right for you and a tight mix you can be proud of. *As of January 1, 2015. 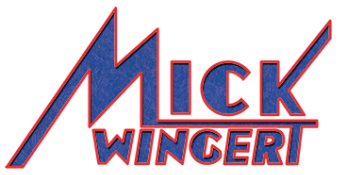 Click below for Mick Wingert-produced demos tailored to the skill and talents of each performer. For a precision piece of your own, schedule a demo consultation today.